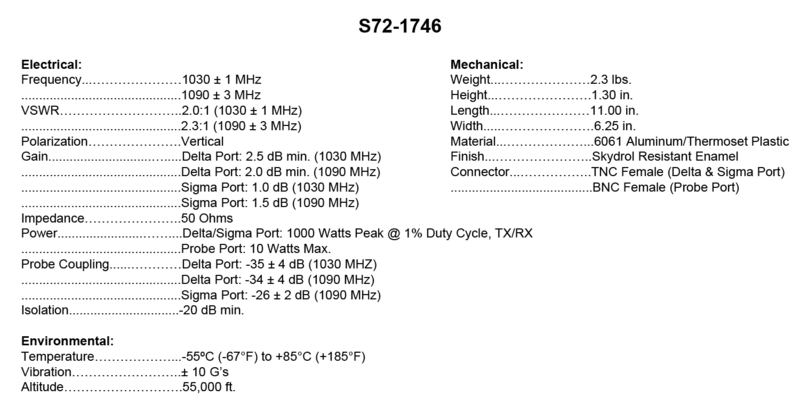 S72-1746: Traffic Collision Avoidance System I (TCAS I) antenna. It is a low-profile antenna with a teardrop radome and leading edge shield. The antenna is DC grounded and provides lightning strike protection. 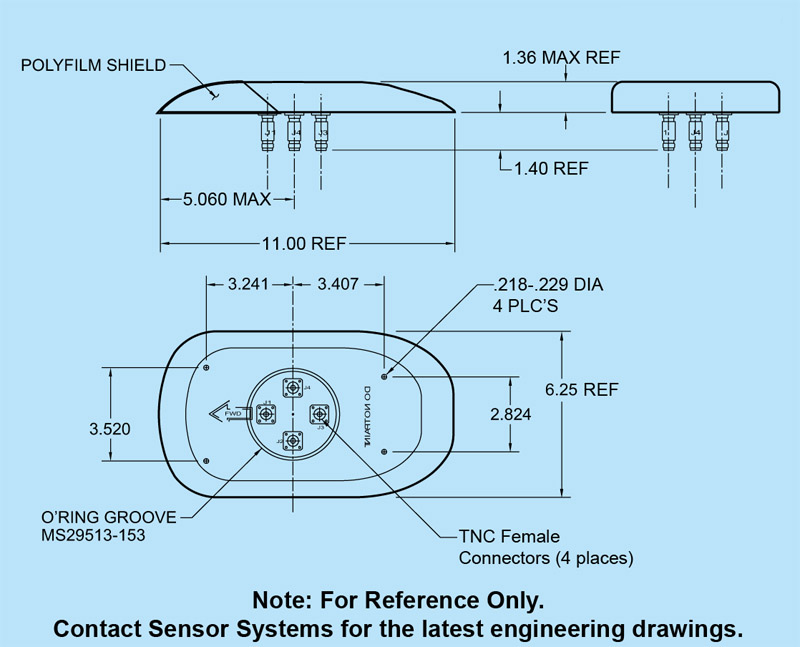 It features a directional four element array; as well as an integrated Sum and Difference output capacity. 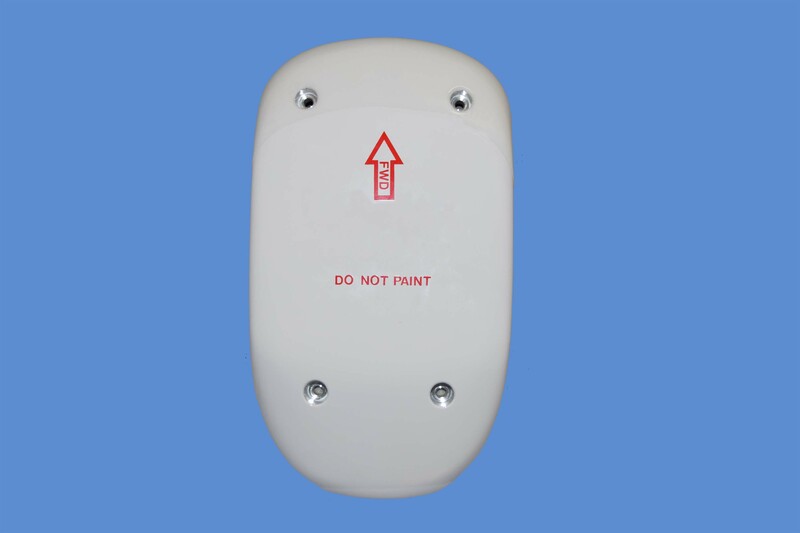 This antenna is suitable for general aviation aircrafts and available with L-3’s “Skywatch” systems. FEDERAL & MILITARY: FAA TSO-C118, DO-160C, MIL-STD-454, and AMS-C-5541.